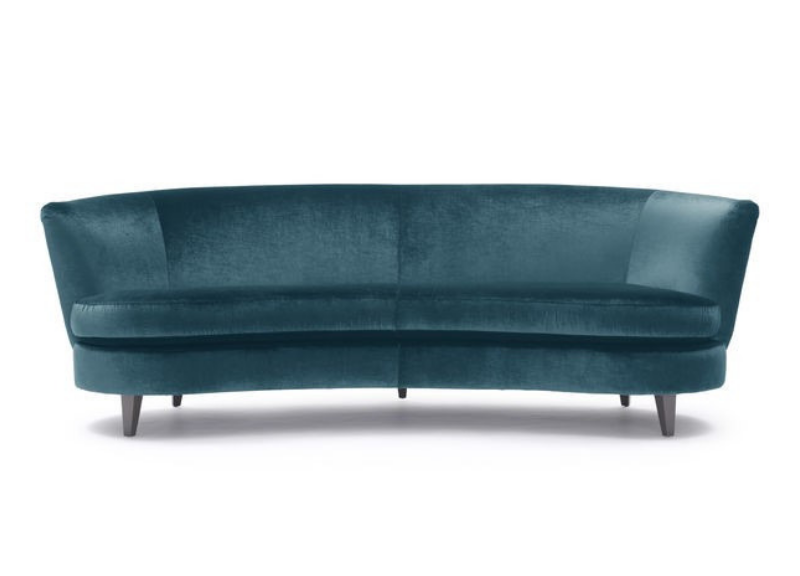 Shelter-style sofa offers plush comfort in a graceful crescent shape. Soft modern silhouette features a comfortable curve with a supportive tight back, loose bench seat cushion, and four-way tapered wood legs. Discreet cushion clips prevent slippage.